During the 1822–44 Haitian occupation, the city was officially designated as Bany. The city of Bani is the capital of the Peravia province; its residents also know it as the home of poets. The province's population is relatively small with 169,865 people, and only 61,864 in the Bani metro area. This is a tightly knit community with families and neighborhoods dating back several centuries. 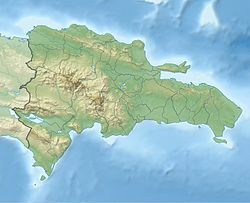 Bani is a Taino word meaning “abundant water.” The area was named after an important Taino leader of the Maguana people. He was said to be one of Caonabo's closest allies. But, it wasn't until 1764 when a group of neighbors concerned with their security and safety came together to purchase a property large enough to build their own village in the valley of Bani. Historians set the sum of this purchase as that of “300 pesos fuertes” for a property called Cerro Gordo; the principals were listed as Francisco Baez and Bartolome del Castillo. Its culture and customs were most accurately portrayed in the novel Bani o Engracia y Antoñita, written by Francisco Gregorio Billini. The local beach is "Playa Los Almendros" (Almendros Beach,) situated 6 km (3.7 mi) south of the center square. The town's original design follows the classic Spanish square, with a park in the center of the town surrounded by the local church and the local government (mayor's office). The city's Patron Saint is "Nuestra Señora de Regla," whose celebration is on 21 November each year. Baní is surrounded by many smaller towns, many with their own specific identities. One example is Paya, well known around the country for its milk-based candies (most famously "Dulce de Leche," or Milk Candy.) Another is Salinas, a town by the Salinas bay, where salt is produced. Salinas is famous for its Sand Dunes, that make the Dominican Republic the country with the largest sand dunes in the Caribbean. Baní is known for its Mangos "mamellitos"
Baní is one of the places where the Pulitzer Prize winning novel The Brief Wondrous Life of Oscar Wao takes place. The Internationally acclaimed Bachata singers Aventura began their career singing at small clubs gigs in Baní. ^ "Bani Climate Normals 1961-1990". National Oceanic and Atmospheric Administration. Retrieved September 11, 2016.